Every morning we like to bring you the biggest stories in tech, courtesy of our friends at TechRadar, and today is no different – we've got details of the roll out of 5G in the UK, extra features for Sky Q customers, and new incoming hardware from Fitbit, Samsung and Sony. Sky Q had a few teething problems when it first rolled out, but it's gradually improving to the point where it's an attractive proposition, and Sky is adding new features all the time. The latest update is coming in March, and will include an integrated Spotify app, support for High Dynamic Range (HDR) pictures, and thousands of hours of additional 4K content. A more personalised user experience is coming to the Sky Q platform too, apparently. You might still be struggling to get a 4G signal at times, but 5G is on the way. Ofcom has approved six participants for the upcoming auction of the 2.3GHz and 3.4GHz spectrum in the UK – in other words, the bandwidth that operators are going to need to roll out 5G networks. EE, O2, Three, Vodafone, Airspan Spectrum Holdings and Connexin Limited are the companies involved, so whichever company your contract is with, you're covered. Fitbit made its name with fitness trackers, but it seems the company is now more interested in smartwatches, and it has plans for more devices in 2018. During an earnings call with investors, Fitbit said it was planning a smartwatch with "mass appeal" and would be shifting its attention towards the more advanced devices towards the end of the year. It's also planning new subscription services for users to keep the money rolling in. 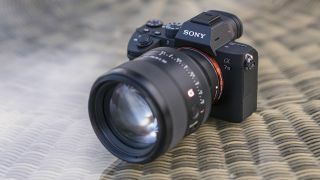 Sony just announced the new Alpha A7 III, a entry-level full-frame camera coming in just under the Alpha A7R III and the Alpha A9 in terms of pricing and features. With improved sensors and image processors, the camera can shoot at 10 frames-per-second (double that of its predecessor) and fire off 177 consecutive JPEG shots before it needs to take a breather. Coming in March, the camera will set you back a hefty $1999/£2000/AU$3,099. Everyone seems to have a smart speaker to their name these days, and Samsung has confirmed it wants to join the party before the end of the year. Speaking at Mobile World Congress in Barcelona, Samsung’s mobile president DJ Koh said that a premium, Bixby-powered speaker would be arriving in the second half of 2018, ready to give the Amazon Echo, the Google Home and the Apple HomePod some extra competition.